The Beatniks are a local legend. They have played their brand of 60’s to 90’s rock and roll for Microsoft, the Seahawks, actor Bruce Willis, and our Pierce County Prosecutor Mark Lindquist. 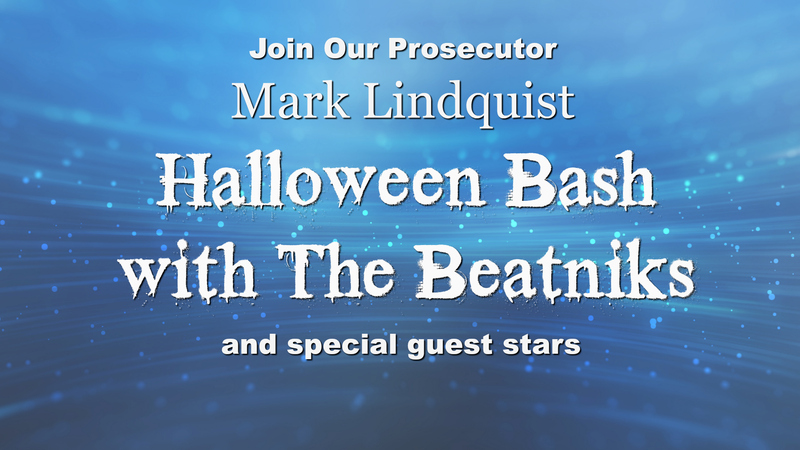 Lindquist is bringing The Beatniks to the Swiss Pub in Tacoma on Wednesday, October 24, at 6:00 pm. This is a Halloween celebration and costumes are encouraged. Lindquist was appointed as our Pierce County Prosecutor in 2009, was elected in 2010, and re-elected in 2014. He is running again this year. Lindquist’s campaign has cited his innovative public safety initiatives, including successful efforts to protect elders, dramatically reduce gang violence, and get career criminals off the streets with data-driven prosecution. He has also championed therapeutic courts for people with substance abuse or mental health issues, along with other reforms to the criminal justice system. Additionally, last year Lindquist filed a lawsuit against Big Pharma to hold them accountable for their role in the opioid epidemic and recover money for Pierce County. Crime is down in Tacoma and Pierce County, while it is up in Seattle and in Washington State. Lindquist is endorsed by Democrats and Republicans, including Governor Jay Inslee (D), former Governor Dan Evans (R), former Congressman Norm Dicks (D), Secretary of State Kim Wyman (R), and local Congressman Derek Kilmer (D). He is also endorsed by unions and businesses, firefighters, law enforcement, teachers, several members of the Tacoma City Council, including Deputy Mayor Anders Ibsen, and more than 500 other organizations and community leaders. When Lindquist throws a party with The Beatniks, it always draws a diverse, interesting, and large crowd. The event is kid-friendly.